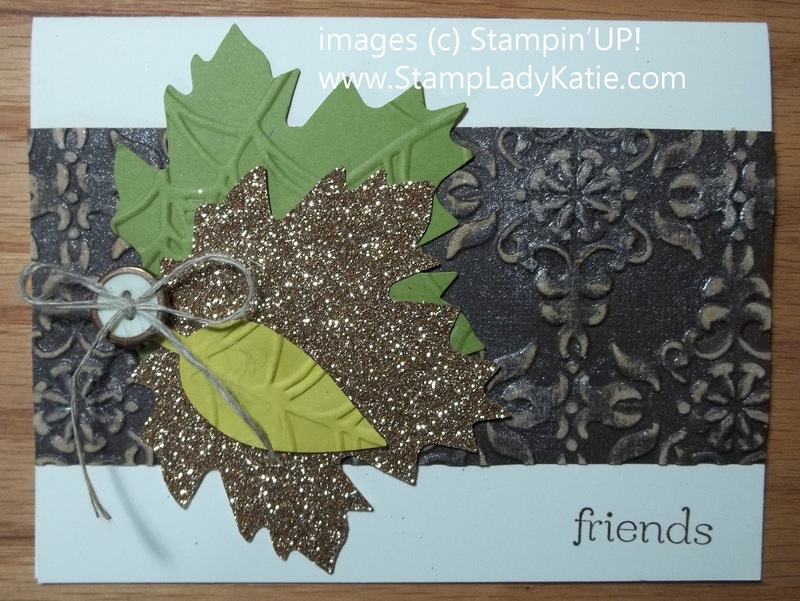 Here is a gorgeous sparkly fall card. There's lots of things that make this card special: one thing is the veins on the leaves. The leaves were cut with the Autumn accents Die. This die can cut multiple pieces of paper at a time - but it doesn't emboss. So how did I get the veins in the leaf? Here is the trick to getting the veins in the die cut leaf. 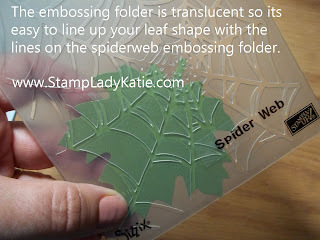 I used the spider web embossing folder. 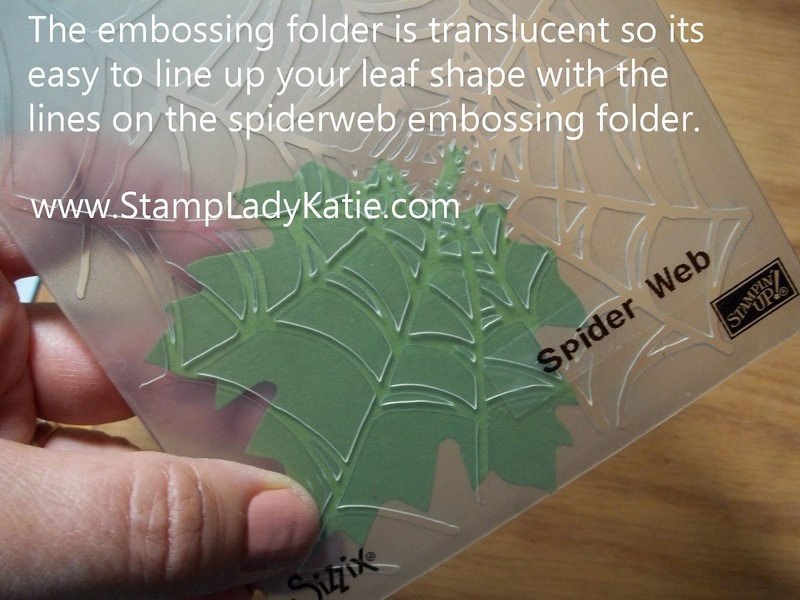 Its easy to line up the die cut with the exact right place on the the folder because the folder is translucent. 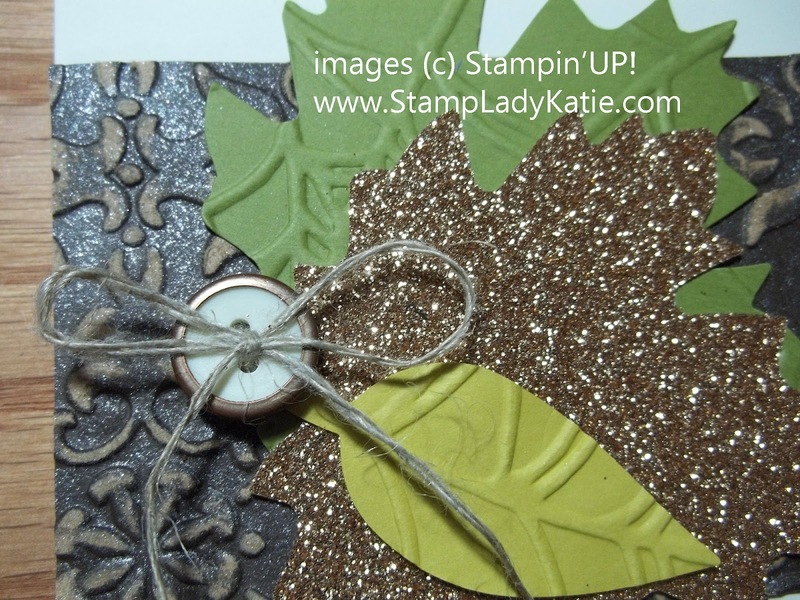 How about that sparkly leaf? That's the new champagne glimmer paper. It sure does help make this card special. And if you're wondering about colors, the top leaf is Summer Starfruit and the bottom leaf is Old Olive. The background strip uses the new Core'dinations paper. 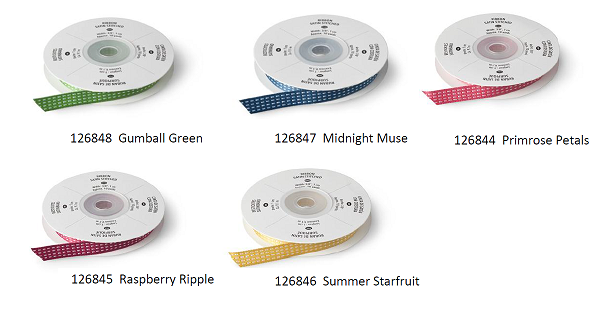 The Core'dinations paper is available in 3 colors: green, red and brown. When it gets pressure embossed it breaks the fibers and shows the white paper through. You could of course, make this with a cute Designer Paper too. The final touch on this card is the linen thread and the button. This was so easy to do! I just put the linen thread through the button and tied the bow. Then adhered it to the card with glue dots. Man I love glue dots - they're extra sticky and perfect for anything a little bulky. I always use them on buttons. 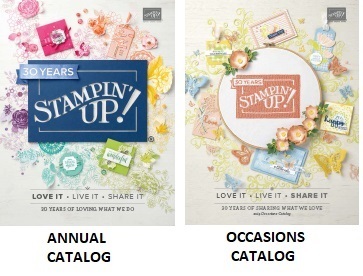 And I do confess this is not a Stampin'UP! button. I like to recycle buttons from old clothes before they hit the rag bin. I've had a bunch of these around for so long I can't even tell you which item they came from. 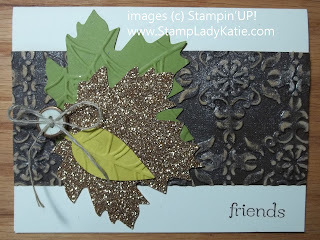 Are you ready to stamp some fall cards? 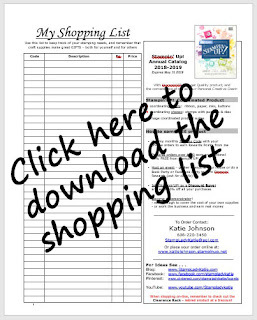 Not counting old re-cycled buttons, you can get all your Stampin'UP! supplies HERE. By the way - are you looking to get some nice portraits taken with a beautiful fall backdrop? 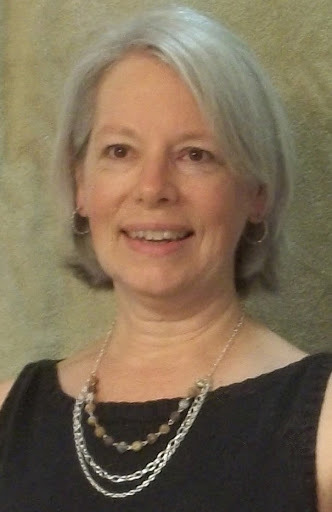 Check out Portrait Independence Studios. They will be taking outdoor portraits at Brigham Park in Mt. Horeb, WI on October 6th. Contact them for an appointment. Actually, they'll take your photos any time, but they have a whole day scheduled on the 6th.